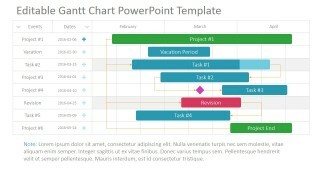 The Project Gantt Chart PowerPoint Template is a professional presentation designed to easily create project plans snapshots in a gantt chart diagram. 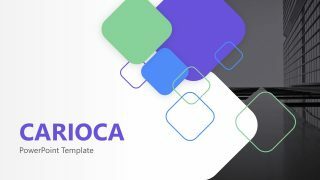 The user will be able to drag and drop components, customize them, connect them and finally arrange them into the time based table to describe the project and tasks. 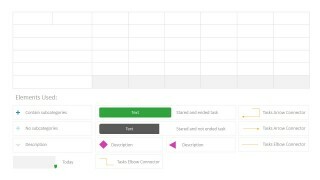 The general layout of the project Gantt Chart consists of a table matrix with two (2) dimensions, Tasks and Dates. 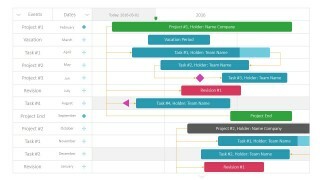 The Tasks Dimension takes the place of the first column of the Gantt Chart. Every row contains the name of the task. The second dimension consists of the rest of the columns of the chart. Acting as an X Axis, the Time dimension is a categorical series of dates (Days, Weeks, Months, Quarters or Years) Each row will contain horizontal bar chart shapes that will contain two colors, representing the percentage of completed and pending. The length of the bar represents the extension (in time) of the task. 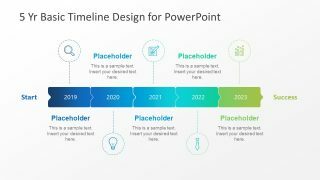 Each of the PPT Shapes representing Bar charts has a start date and end date. The percentage of completion is represented by a gradient color from the start of the bar. 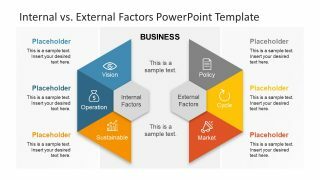 In order to describe Tasks Precedence, PowerPoint Arrows connectors are used to connect which tasks needs to be completed first, modeling dependencies. 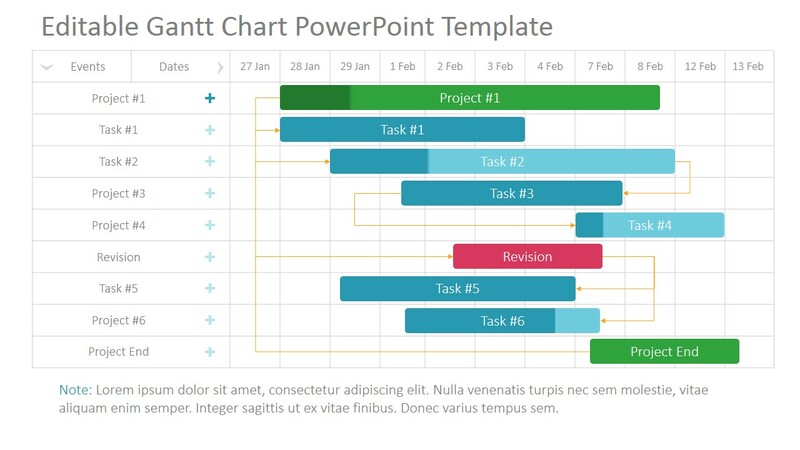 Every component of the Project Gantt Chart is created as PowerPoint shapes, allowing the user to fully customize its appearance to match the theme of the presentation where it will be applied. 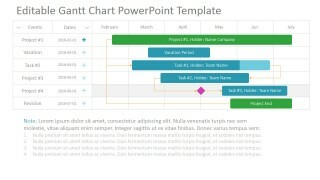 PowerPoint Timelines are powerful tools to describe project roadmaps and high level plans. Project Managers employ PowerPoint timelines during Project Steering Meetings, Planning Meetings or even in Project Proposals. The exercise of creating a timeline provides insights on possible risks regarding precedence and completion. 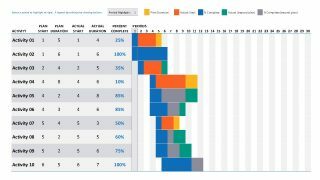 The Project Gantt Chart PowerPoint Template is a practical choice for Project Managers and Planning Executives that require simple tools to present their plans during meetings.